Born British, raised on the Streets of New York: Kangol today is a cultural fusion, taking the best of British heritage, the birth of Hip hop and mixing it with cutting edge street fashion. At its core Kangol prides itself on producing innovative and quality products using many of the same techniques that were developed over 75 years ago when the brand was founded in Northern England in 1938, by Jacques Spreiregen – a Polish citizen who started making berets for the English army. He made other things, too, like coffins, seat belts, and helmets (fun fact, Kangol is licensed to make shoes, clothes, even makeup in other countries), but hats are what stuck. 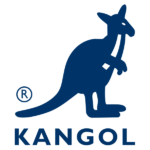 Kangol’s unwavering commitment to its core values has garnered a unique and loyal following of fans worldwide both young and old. Everyone has a Kangol story. Those stories typically feature a celebrity as a sartorial reference point. For the older generations, Slick Rick and The Kangol Crew; for those a little younger, Run D.M.C. ; and for those even younger, LL Cool J and Missy Elliot.